I’ve been to Fin countless times for lunch over the past 3 years and it’s one of my favourite restaurants in the Yonge and Eglinton area. My order is pretty standard now, the spicy tuna sashimi bowl. The lunch menu is a variety of set rice bowls with a good mix of cooked entrees and chirashi bowls but I’ve been eager to try out their a la carte dinner menu. 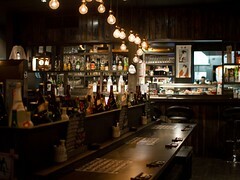 Atmosphere: The restaurant itself is pretty spacious, with the typical sake bottles for decor. It’s very suitable for large groups and offers private dining rooms, which our party was seated in. 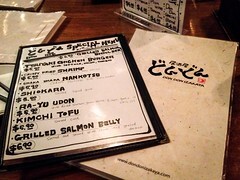 As customers enter and leave, the servers do yell at you in Japanese, but the general atmosphere is quieter and calmer than Guu or even Don Don. Service: As our party trickled in one by one, tea was brought in for each new arrival. Our private room was out of the way off a corridor, so it was hard to get anyone’s attention unless a dish was being served. No one checked in on us through the meal outside of this, so we had to make sure the servers didn’t leave each time to add to our order. After all our dishes had arrived, no one came to clear the dishes or ask if we wanted to order more, which is typical for izakayas. Our experience could have been even better with more attentive service, this might have been because we weren’t in the main dining area. If Fin added some kind system to ring for service, it would help a lot. Food: We ordered pretty much every item from the “Daily Special” menu, not everything is pictured. 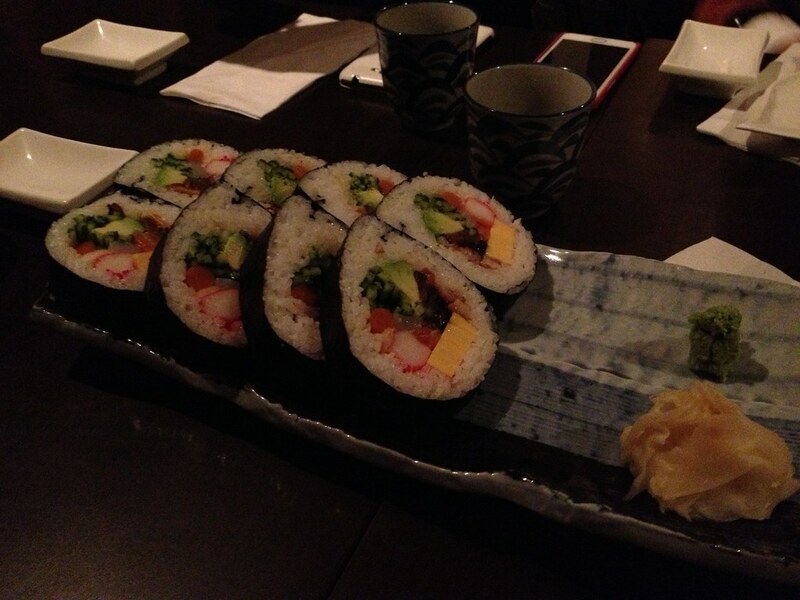 The “Seafood Futomaki Giant Roll” is one of their specialty items and filled with over 15 ingredients. It was really hard to eat, each piece was the size of my fist, but worth the effort. We ordered two so that each person could try a piece and the second servings disappeared quickly. 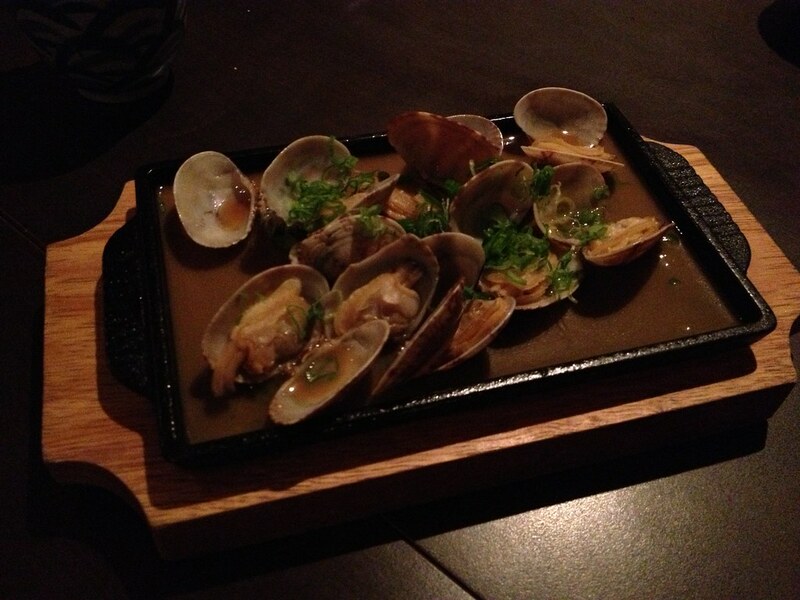 Pictured from the special menu that day are the clams and salmon belly with yuzu sauce. 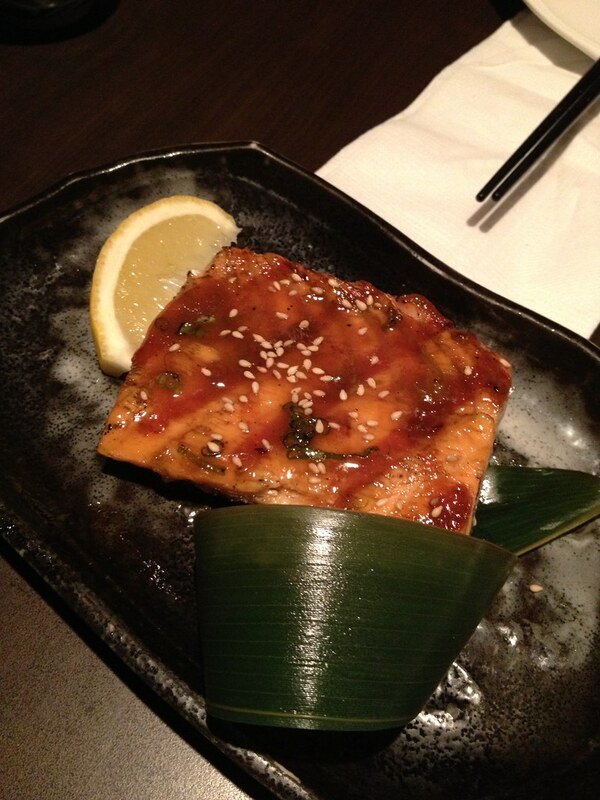 The salmon was my favourite dish of the night, flaky, flavourful and the sauce was amazing. The mackerel is pickled and toasted with a blowtorch at the table. Mackarel sashimi can be fishy if not fresh, but this wasn’t at all and the last pieces were fought for. 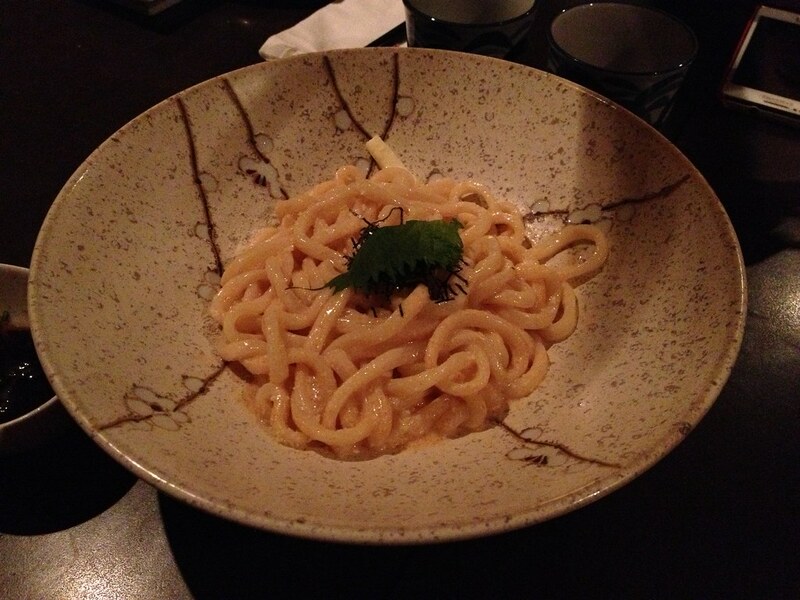 Fin serves a udon carbonara similar to Guu, that is a lot creamier and has roe in the sauce. 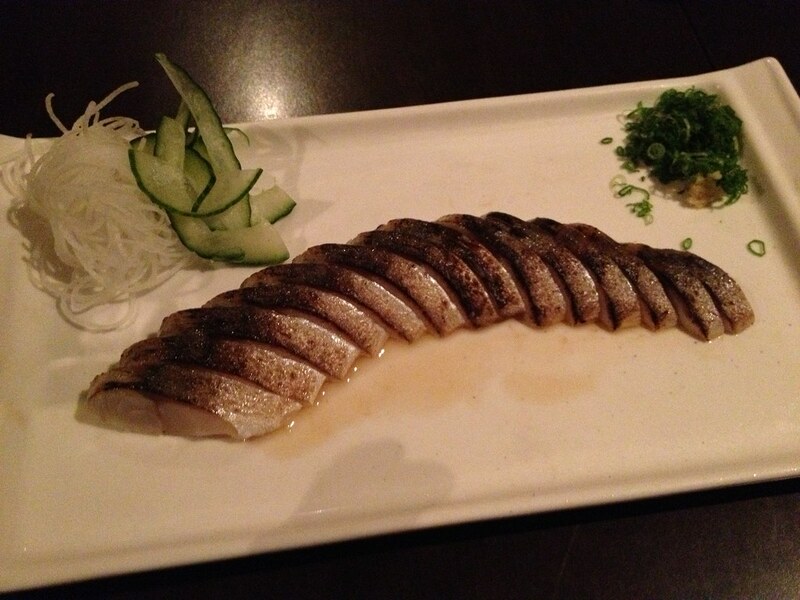 I didn’t love this dish and prefer the Guu version better. 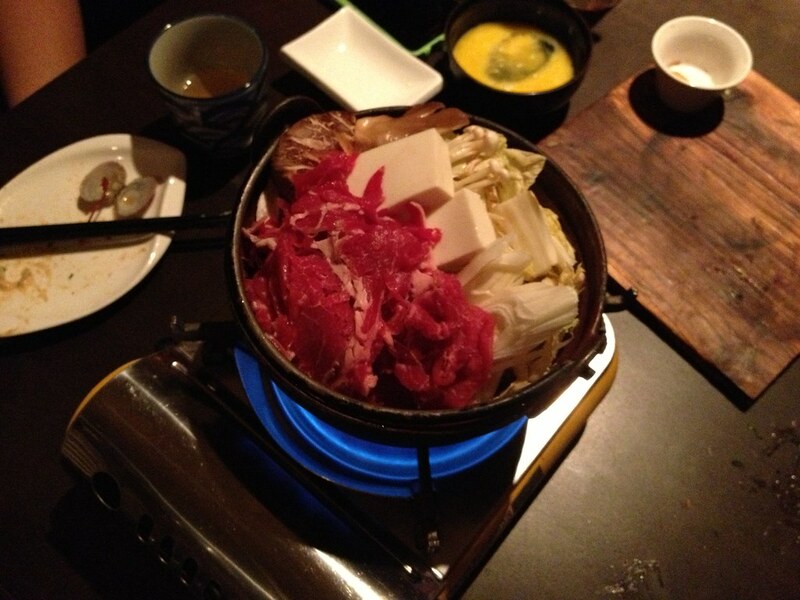 Finishing up the meal, we had 4 servings of the beef sukiyaki hotpot (2 servings pictured). The soup was really sweet, authentic, and a good portion size. 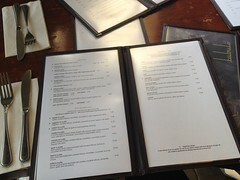 Fin will continue to be a regular lunch spot for me, and I would happily be back for dinner. 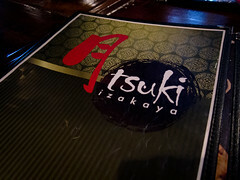 It’s a great izakaya option in midtown, and could almost satiate my Guu cravings, almost.